This body milk is designed with an exclusively vegetal source with emulsifiers obtained from olive oil. When the skin has absorbed this product it obtains a smooth and velvety appearance. It works to provide protection against harmful factors to remove dry skin when in contact with cold, hot and windy weather conditions. This body milk is designed with an exclusively vegetal source with emulsifiers obtained from olive oil. When the skin has absorbed this product it obtains a smooth and velvety appearance. It works to provide protection against harmful factors to remove the dry skin when in contact with cold, hot and windy weather conditions. Pellamar extract works to maintain the functions of the skin when in contact with a variety of daily stress factors. The natural source of energy provided by the extract works to improve the skin’s appearance and firmness. OIL OF CARROT – Revitalizes the skin, prevents wrinkles, gives essential vitamins to the skin, tones and calms, reduces scarring, nourishing, anti-oxidizing, reduces blemished caused by UV radiation. Composition: beta-carotene (vitamin A precursor), vitamins E and F, mineral salts, trace elements, glucose, sucrose, pectins. Use this product daily, after bathing or showering. Gently apply the product to the skin by lightly massaging until it has been fully absorbed. It is the best body milk ever!!! me and my sister use it and we are totally pleased. The cream is over and I’m determined to order another new one, can wait! 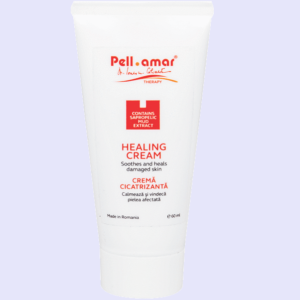 Cream that gently enters the skin without leaving fat traces. Excellent hydration. Good product, good price. A very good product. Gently enters the skin to become silky and soft to the touch, the smell is a pleasant and discreet.